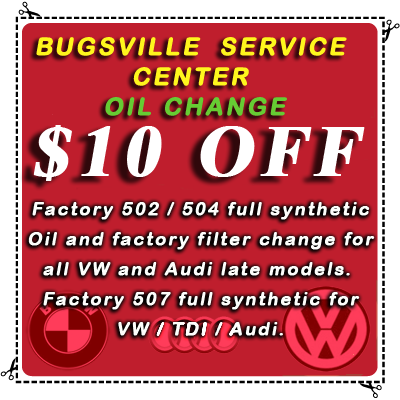 OIL SERVICES Factory 502 / 504 full synthetic Oil and factory filter change for all VW and Audi late models. Factory 507 full synthetic for VW TDI and Audi TDI. Check all the fluids add as it needed / Free brake and tire rotation check Prices may varies based on models and type of engines. 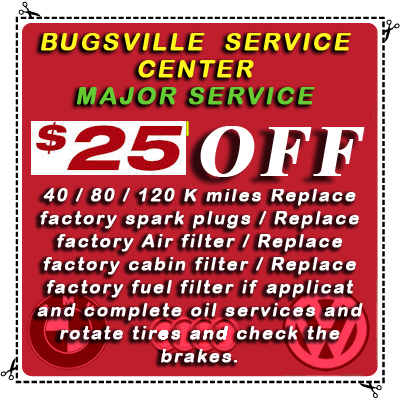 MAJOR SERVICES 40 / 80 / 120 K miles Replace factory spark plugs / Replace factory Air filter / Replace factory cabin filter / Replace factory fuel filter if applicat / and complete oil services and rotate tires and check the brakes. 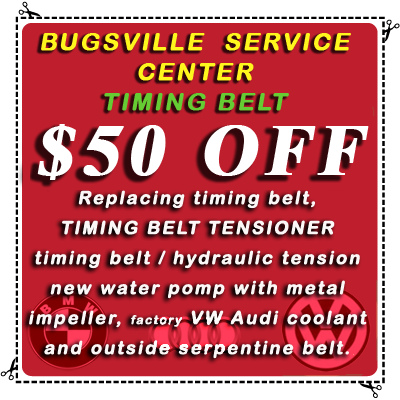 TIMING BELT Replacing timing belt, timing belt TENSIONER and timing belt hydraulic TENSIONER, new water pomp with metal impeller, factory VW & Audi coolant and outside Serpentine Belt.